First off, let me say I will have the boot tutorial up tomorrow 🙂 I haven’t been feeling so great lately and with other deadlines I’ve had, I just haven’t been able to sit down and get the pictures and directions straight. But, after tonight’s dinner event we must attend, I will have a bit more time on my hands. This is a little chair I had found at a thrift store. I wanted to make it better, so I painted it and added a cute cushion. For the paint, I just added some regular acrylic paint to water in a little spray bottle and had at it. Then I did a coat of Mod Podge on top to make it shiny. The pillow is just two circles with a long rectangular strip connecting them. I sewed a button on to pull it down in the middle. 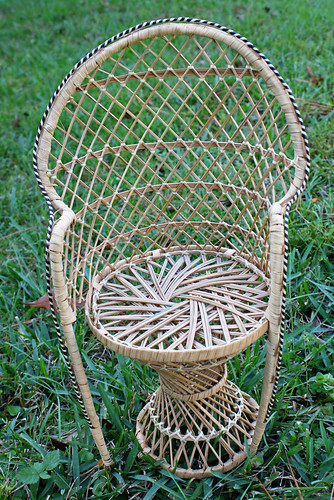 Now, once my daughter actually gets into dolls (if she ever does), they will have a super cute chair! I also made the American Girl doll’s dress. It’s actually my doll from when I was little. I figured I will pass it down to my girl when she wants it. 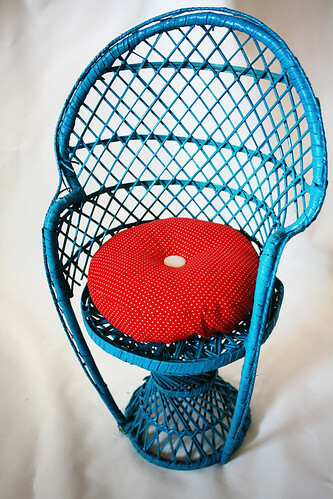 Good idea mixing the acrylic w/water – how long did it take to cover the chair with paint? I might have to try that technique. I love acrylic and how cheap it is and how many colors you can get it in! 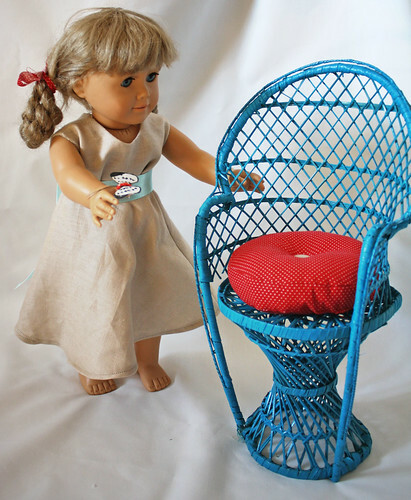 The dolly chair is adorable. For the past 10 years I have looked at those big dolls and all their cool stuff and hoped that someday I would have a girl to get them for! 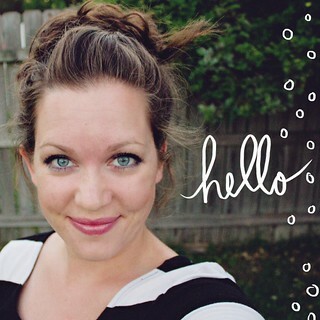 What an awesome find…I love doll accessories! You’ve done a brilliant job on that chair. I’m sure your little girl will get into dolls soon – just think of all the accessories she will need then – you’ll be even busier. Have a great weekend. I love the original AG dolls! I have a Samantha that I will be passing down to my daughter once she is old enough. Great tutorial! Very cute Jessica! I really love it.